A covert wireless camera is a security camera made for hiding in unsuspecting places in order for them to remain concealed. They have a wide variety of different applications and are among some of the most advanced technologies used by today’s security companies. 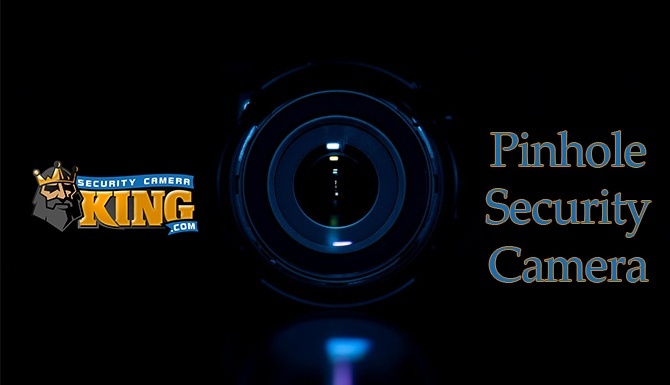 The following article will show just a few of the many upsides for incorporating a pinhole or covert wireless camera into your security monitoring system. If you are looking for more information about the products discussed visit our website at Security Camera King. 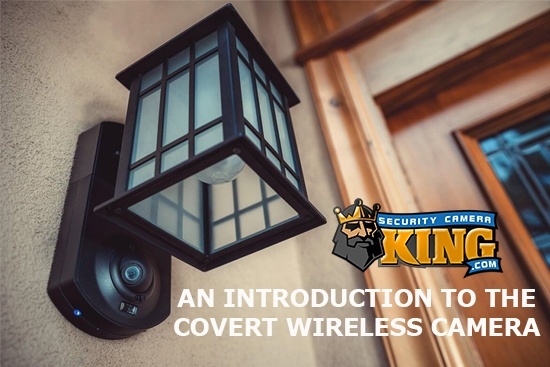 Having covert wireless cameras stealthily monitoring your private and commercial properties provides a whole host of different advantages. What our covert security cameras provide you is the power to find out the identity of a thief whether it be a complete stranger, employee, family member, etc. In addition, this helps you avoid the heartache of wrongly pointing the blame on others. Covert wireless cameras are great for monitoring employee activity and being able to accurately monitor productivity. The different environments and scenarios that covert wireless cameras can be employed are diverse. They include monitoring your children’s nanny to productivity evaluations of employees in your business. All the footage is high-resolution and streams onto a live feed that can be remotely seen anytime. When it comes to monitoring employees the majority of organizations will notify employees that they are being recorded by signs, however, the cameras are installed in hidden areas to prevent employees from avoiding them. The security strategy behind putting covert wireless cameras in unnoticed positions is to avoid bringing them to the attention of criminals. Statistically when criminals see properties with a visible surveillance system they perceive that property as having more value as a target than if it didn’t have a surveillance system. One of the most important functions of any surveillance system is that it prevents crime and this easily achieved with a covert wireless camera. This type of covert wireless camera is made to be hidden in inconspicuous areas to privately monitor its surroundings. Being only three inches in length permits it to be used discreetly anywhere a covert wireless camera is needed. It operates on 12V DC power and is only compatible with CVI machines or systems. The 2.8mm fixed lens makes it perfect for surveillance systems that need a wide angle view of a parking lot or construction site. With its purchase, you get a one year warranty and US-based tech support for as long as the camera is working. It also comes with an owner’s manual, screws, anchors, and a mounting bracket. This type of covert wireless camera is made to be hidden in inconspicuous areas to privately monitor its surroundings. Being only three inches in length permits it to be used discreetly anywhere a covert wireless camera is needed. It operates on 12V DC power and is only compatible with TVI machines or systems. The 2.8mm fixed lens makes it perfect for surveillance systems that need a wide angle view of a parking lot or construction site. With its purchase you get a one year warranty and US-based tech support for as long as the camera is working. It also comes with an owner’s manual, screws, anchors, and a mounting bracket. This type of covert wireless camera comes in a square body design that allows it to be easily hidden. It features a 3.7mm fixed lens that delivers a clean and clear resolution at 30fps and 1080p. The image size is 2MP and has a 1.2/7 inch CMOS sensor. This product is only 1 ½ inches square and does not have an on-screen display. It does not contain LEDs and runs on standard 12V DC power. 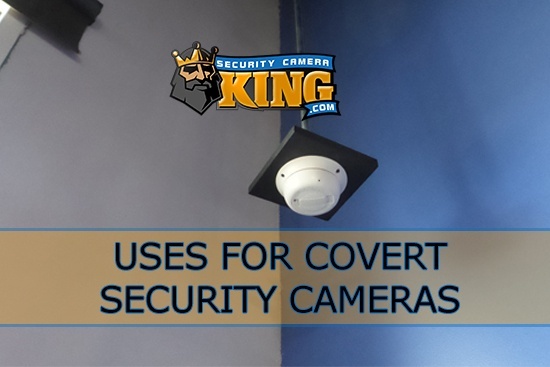 For more information regarding our covert wireless camera products and other security cameras investigate our entire catalog of surveillance equipment at Security Camera King. Feel free to Contact Us if you have any more questions or want to ask one of our security professionals for security tips. 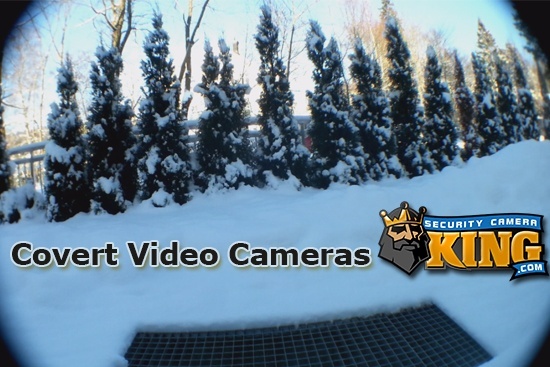 Follow our YouTube channel at Security Camera King.